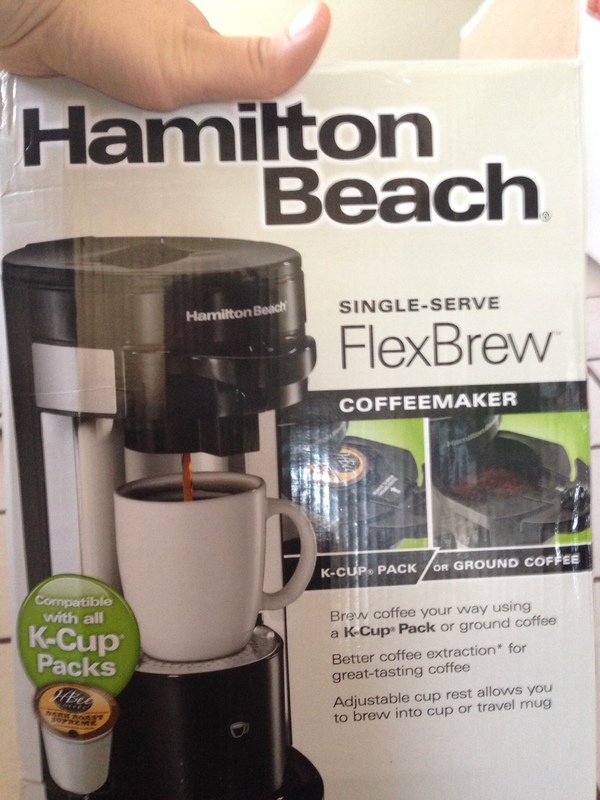 So almost a year ago we purchased the Hamilton Beach Flex Brew K-cup / single serve coffee brewer. It was cheaper than a Keurig by around $50 (I think it was $80 or 90 at the time, it’s now around $50 and not worth a penny of it). It worked great for a month or two, however eventually it stopped puncturing K-cups and would spill water all over the place. We had it replaced and now the second one will drip on and off and then spew out a steady stream of nearly clear, watery coffee at the end to fill up the rest of the cup. It ruins otherwise great tasting coffee. Even if we brew coffee grounds instead of a k-cup it’ll drip awkwardly and make watery coffee while spilling water all over the counter. I’m hoping Wal-Mart will let us exchange this one for store credit so we can get a quality coffee brewer, not a cheap product that will require an exchange every month. This entry was posted in Food and tagged 49995, broken, Coffee, FlexBrew, Hamilton Beach, K-cup, Keurig, leaking, watery. Bookmark the permalink.